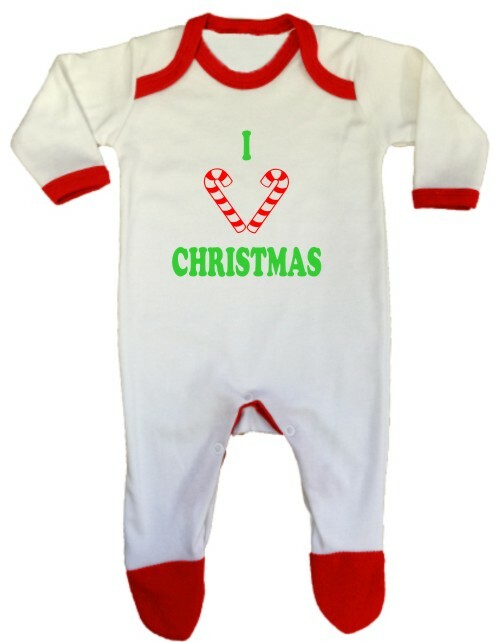 An adorable christmas themed baby rompersuit in christmas colours. 100% cotton with an envelope neck and popper fastening up the legs. This is a white rompersuit trimmed with red and with red feet. Printed with I heart Christmas with two candy sticks in place of the word heart.